These pictures look very different from the usual green Dutch country sides which are flat and usually covered in green grass. The photos were taken on the Veluwe a region in the centre of the Netherlands. 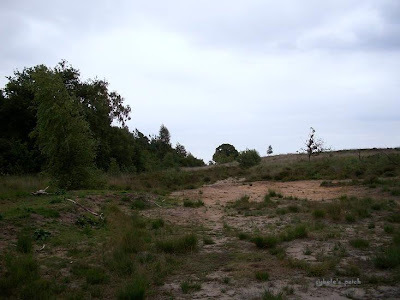 Dry and sandy heathland surrounded by (to Dutch standards) vast woods. The sky was just as dull as the land. Click on the SkyWatch button in the side bar for more pictures from around the world. Thanks for the pictures of your country! Your title photo is beautiful! Ah, we all have days and skies like that! I know we've surely had our share!! Terrific captures! And your header photo is stunning! I love it! Have a great weekend, Jossie! Je hebt zo van die dagen dat lucht alleen maar grijs en uitgebeten overkomt, maar desondanks is je onderste foto mooi geworden. Maak er een mooi weekend van, Jossie! The sky is interesting, even when it's not beautiful. 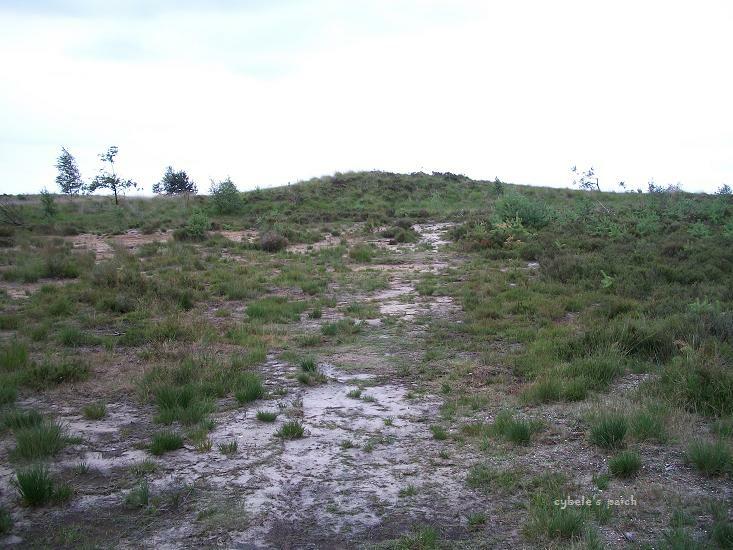 I had no idea that there were places in the Netherlands that looked like this. PS I'm enjoying all the photos around the edges, too! Nobody is farming in this area? But love this too it just shows that someday's it's boring some is not. Love the photos located at your side bar. Happy weekend! That is interesting landscape. Not what I'd expect to find in the Netherlands. Hope your gray skies turn sunny soon! Thanks for stopping by.